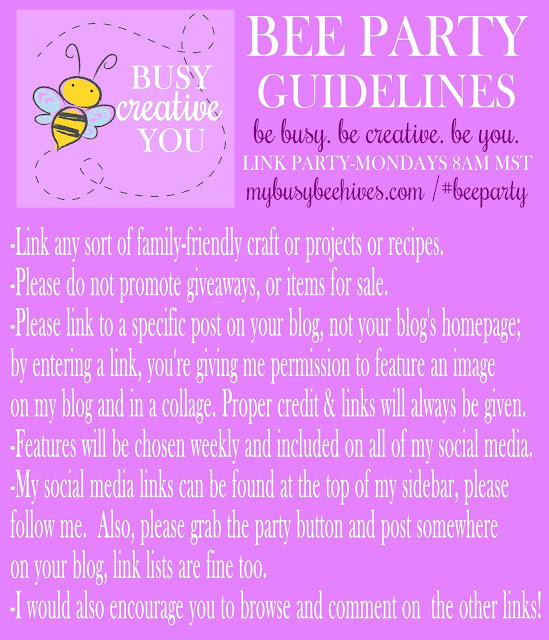 My Busy Beehives will now be hosting a weekly link party! 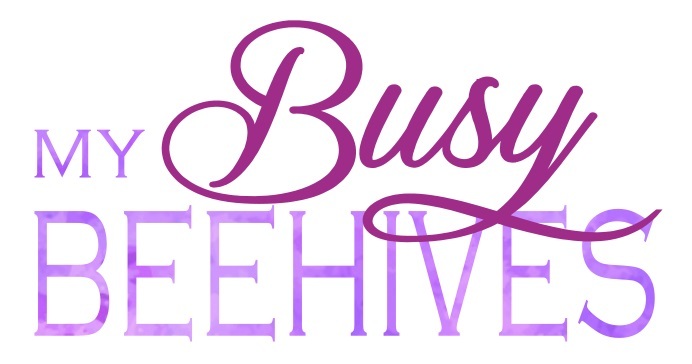 I would enourage you all to BE BUSY, to BE CREATIVE, and to BE YOU at our #BEEPARTY . The link party will start every Monday morning at 8 am, and run through Friday, at midnight. Please link up any sort of family-friendly craft, project or recipe ideas and be sure to let others know about the party, too! Features will be chosen weekly and shared to social media. I can't wait to see all your creativity! Hi Julie, I spotted your post at our party and wanted to stop by, link up, and wish you luck with your new party! Hey Judy! I saw Bev's FB post and thought I would get in on the fun. I am adding you to my party directory in my nav menu and my Pinterest Board. (Shameless plug) I host parties myself. You can find all the current ones in my sidebar! Good luck! Thanks for the party! Good luck! Added your party button to our "party" page and will announce on our Facebook page, too. ...and thank you for linking up! Please come again and tell your friends! Thank you for hosting! 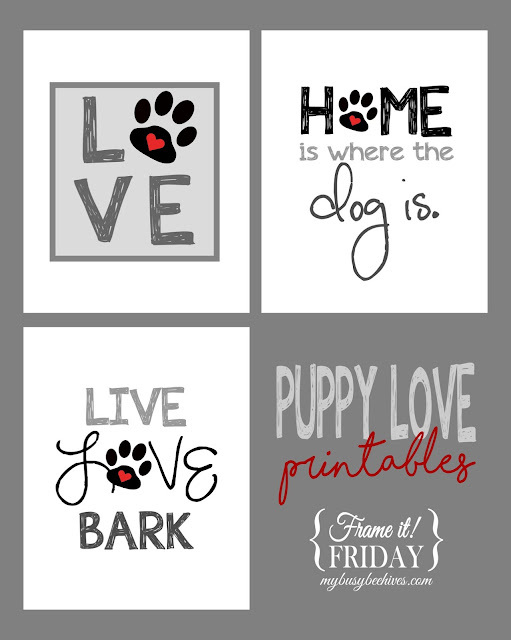 I love finding new blogs and link parties! Thank you for visiting! Feel free to invite your friends! How fun! I added this to my linky list.